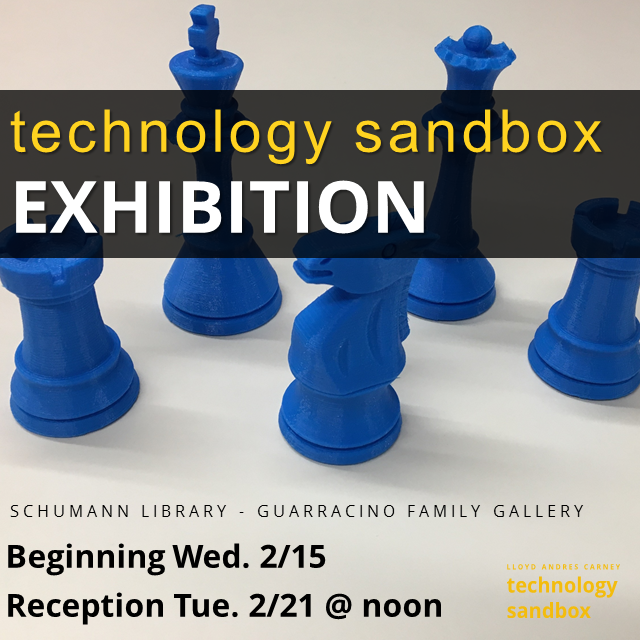 Beginning February 15th, our gallery space will feature an exhibition of projects created using the 3D printers in the Library’s Technology Sandbox. We’ll have an opening reception on February 21st at 12:00pm. Please join us for some light refreshments and giveaways. We currently offer FREE 3D printing to the WIT community and have some equipment you can check-out including GoPros and digital cameras.